Place the chocolate and olive oil in a blender. Whisk the Half & Half egg yolks, granulated sugar and salt in a heavy-bottomed medium saucepan over medium heat. Sir the mixture constantly, making sure to scrape the bottom and edge of the pot with a heatproof spoon or spatula so that the mixture does not burn. Continue to stir until the the custard is coats the spoon and almost begins to simmer, about 5 minutes. Immediately pour the custard over the olive oil and chocolate in the blender. Cover and hold the lid with a thick kitchen towel; blend until combined and smooth, stopping to scrape down the sides of the blender as needed. Divide the chocolate mixture among 6 ramekins or cups and refrigerate for at least 3 hours. Whip the cream and blood orange olive oil with the confectioners' sugar with a mixer or in the blender until soft peaks form. 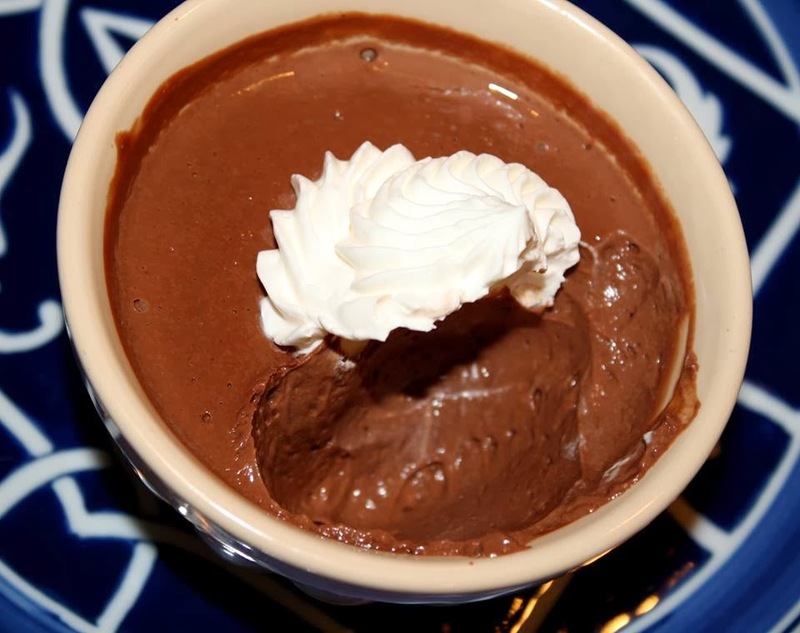 Top the chilled pots de creme with whipped cream before serving.